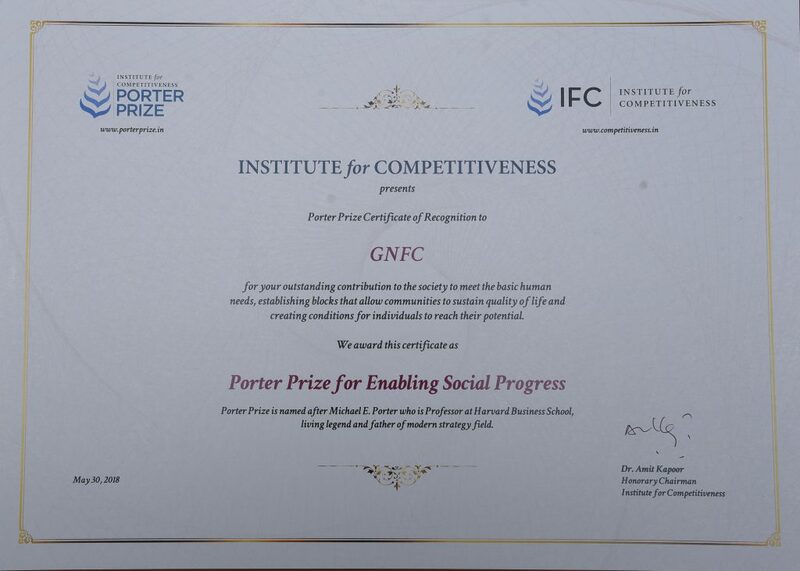 For second Consecutive year Gujarat Narmada Valley Fertilisers & Chemicals Ltd (GNFC) won the prestigious Porter Prize for its innovative and pioneering role in giving a thrust to cashless or less cash drive. The Prize is administered by the Institute for Competitiveness, India, which works in affiliation with Harvard Business School, USA. GNFC became the first fertilizer company to create a vast infrastructure of PoS machines, special apps, and trained over two lakh farmers, fertilizer retailers and students in executing cashless transactions. So far, GNFC has sold approximately four million bags of fertilizer worth nearly INR 130 crore to over three lakh farmers via cashless means across many states of the country using PoS machines, BHIM, AEPS and other digital means. GNFC also innovatively helped replicate the cashless / less cash township model in synergy with NITI Aayog and facilitating 100+ townships in the oil, power, fertilizer, and other sectors, to turn them into cashless/less cash townships. PM also launched 81 such townships based on GNFC model in Nagpur last year. Bibek Debroy, Chairman of Economic Advisory Council to the Prime Minister gave away the award to senior officials of GNFC Ltd at the gala event held at Taj Mahal Palace, Mumbai on Wednesday. The award follows an intense process of scrutiny with many phases that begins with internal strategy evaluation to identify distinct strategies that result in sustainable profitability and enhance competitiveness of India. Out of 95 high-quality applications, 24 enterprises proceeded to the second stage of the process, out of which eight won. External Strategy Audit emphasized on the efforts taken by the company to created Sustainable Competitive Advantage and Shared Value. 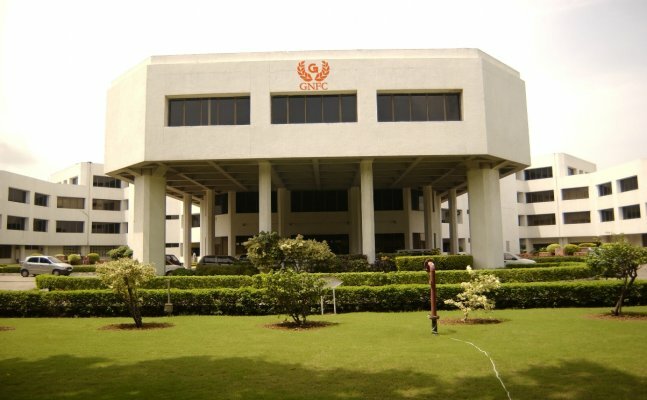 GNFC has won this award for the second consecutive year. 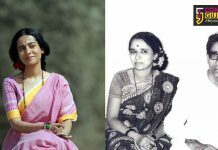 Last year, it became the first public sector company in India to be awarded Porter Prize for its Neem Project.